We have made great progress over the last two days with most of the outside of the cab stripped back to bare metal, and a coat of primer on the roof! We have added a few pictures as an interim report and a full report will follow after the weekend. Slow progress to start with! Following a short tea break, things moved on! It became obvious that to get to the edges of the roof the gutters would need to be removed! So this is the ultimate "painting yourself into a corner"! We value your support and interest in the restoration of the loco, and without your donations we could not continue the work we are doing. 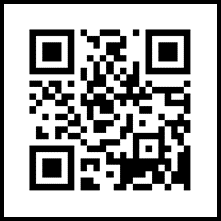 or use the QR code below. Thank you for your continued support and interest, it is much appreciated.